The second Cormoran Strike novel gets its writer an ‘Exceeds Expectations’ O.W.L. Share this on twitter! Deftly plotted, intricately detailed and with much better character development than its predecessor, The Silkworm is a must-read in the best traditions of British detective fiction. This time around, instead of high fashion, highbrow literature is the scene of the crime – literally. A not-so-famous writer disappears soon after submitting a dangerously libelous manuscript which rocks the publishing world while it mocks its denizens. Not long afterwards, he is found murdered exactly like the hero in that last novel – with his body cleaved open, his intestines missing, and seven plates and cutlery neatly arranged around his corpse. Interspersed with crime-solving are the other elements of the plot – Cormoran, the one-legged Afghan veteran faces hostility from the official police force for ‘showing them up’ in his first case. Robin, his secretary, hopes her boss will see her potential as an investigating partner and offer her training, but is frustrated by his apparent lack of perspicacity. She also has to deal with a less-than-completely-supportive fiancé who cannot understand her professional ambitions and is jealous of her war hero boss who keeps being mentioned in the newspapers. There is a smattering of literary criticism – examples of the writing found in British tabloids, wannabe writer blogs, comments under those blogs, writing by bad highbrow writers, interviews of good highbrow writers – which are so accurately-yet-subtly worded that they become critiques in and of themselves. Cavilers and nit-pickers will find some things to crib about. Being a relentless re-reader of the Harry Potter series myself, it amuses me to notice that JKR has a few stock characters that she reuses: the publicity-shy hero who is great at imaginative leaps while connecting the dots but whose temper sometimes gets the better of him (is Private Detective the Muggle equivalent of Auror? ), the loyal, efficient, maternal-yet-feminist sidekick (with Wikipedia instead of Madam Pinch’s library to her rescue), her immature fiancé who is resentful of the famous hero (but with glimpses of better nature hidden deep inside). The denunciation of the idle rich (mostly depicted as snooty, social-climbing, class-conscious and either blissfully oblivious to or willfully uncaring about the less fortunate in society) is also a constant theme, and frankly, it gets a bit repetitive. Fans of literary fiction could also find the predominance of adjectives overwhelming. But all said and done, The Silkworm more than hits the target. Those looking for well-crafted whodunits are advised to grab this one fast and try guessing who done it. In the best stiff-upper-lipped traditions of the Detection Club, the book is littered with clues, and the truly sharp will be able to spot the murderer early on. Alas, I cannot count myself amongst those brainy few; I was flummoxed right until the end. Perversely, however, this contributed to my satisfaction. Isn’t being hoodwinked by a well-crafted murder mystery part of the fun? Thanks very much, Yavnika… read the book and leave your own mini-review here! Thanks, Neeti, glad you liked the Cuckoo’s Calling review too! Seems pretty interesting! Would love to read it! Definitely, Malvika. If you’re a mystery novel fan or a Harry Potter fan, this one will keep you glued till the end. The review is great and set me ablaze with excitement.. Brilliant play.. Thanks Nimmu… read the book and leave your comments about how you found it! Definitely, Rohit. Grab your copy soon. Sounds nice.. Have to check it out. Seems to be an interesting read. Got to check it out soon. JKR rocks! JKR certainly rocks in this one, Reema. If she continues in this vein she’ll have another Harry Potter-like success story with Cormoran Strike! Going to add to my TBR list. Really A Brilliant Book & Obviously Must Have A Copy , A In Depth Review. Was literally waiting for this after cuckoos calling!! Do tell us whether you like it after you read it, Nithi! A critically crisp review.. Sounds nice. truly mysterious..have faith in d author imaginaton as well as the creative points of the story.. Absolutely, Sanjay… JKR’s imagination and her ability to make the reader suspend disbelief is really her strongest asset as a writer. This book made me think of my favourite Harry Potter book, i.e. Prisoner of Azkaban. I simply loved it! 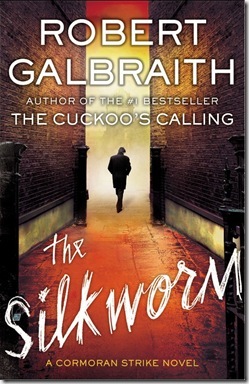 it seems that JKR has given us another hero to sing praises about……… love Cormoran Strike!! Definitely, Pratikhya. 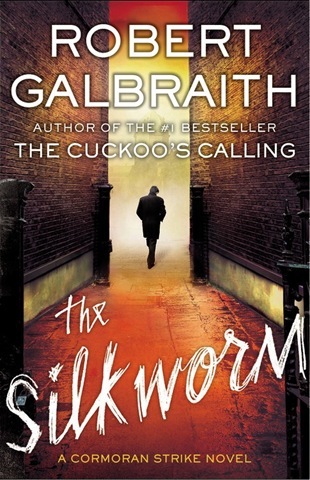 Cormoran Strike is a hero/anti-hero who has the potential to capture public imagination just as much as Harry Potter did. Certainly worth a read, Sonal. Let us know what you think once you finish it. Do leave your own mini-review here after you finish reading the book…. It will be a good read then!